I’ve written about the media ecology tradition, attended the Media Ecology Association’s conferences and had an article published in their journal, but up to now Marshall McLuhan’s Understanding Media and Neil Postman’s Amusing Ourselves to Death are the only primary texts associated with the tradition that I’ve read. To broaden my knowledge of the tradition I’m reading some of the books considered foundational in the media ecology canon, beginning with Lewis Mumford’s Technics & Civilization. I paid special attention to Mumford’s references to capitalism in Technics & Civilization because I have an abiding interest in the marriage of critical/Marxian analysis and media ecological perspectives. One of the most common criticisms of McLuhan’s writings on media is the charge of technological determinism, and that McLuhan’s media theory focuses on wide-reaching social and psychological effects while ignoring the historical, political, and economic factors involved in the development and dissemination of technologies. Although this is a valid criticism, as McLuhan’s approach did not emphasize the political economy of media, a number of scholars have re-evaluated McLuhan and other media ecologists to identify parallels in their work with critical theory and the Marxian critique of capitalism. The same criticisms cannot be legitimately levied against Mumford, whose account of successive technological complexes demonstrates careful consideration of the historical, political, and economic situations in which these complexes developed. Technics & Civilization makes clear that a media ecology perspective can incorporate a pronounced political orientation and an analysis of political economy. Reading through Mumford’s account of the phases of technological complexes, I noted how the capitalist mode of economics is heavily dependent on technology. The interdependence seemed so crucial to both that it almost seemed that the history of capitalism is the history of technological development. Though Mumford does distinguish technics and capitalism as separate but interrelated forces. In the conclusion of the final chapter, “Orientation,” Mumford writes “we have advanced as far as seems possible in considering mechanical civilization as an isolated system” (p. 434). 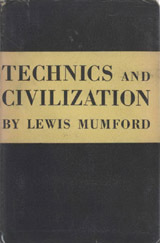 Technics & Civilization was first published in 1934; a contemporary reader will likely extend Mumford’s analysis to account for the last 80 years of technological progress, particularly in consideration of the information and telecommunications revolutions (an editorial note before the main text states that Mumford “would have loved” the Internet). Such an extension must account for the associated developments in capitalism. Scholars have used terms like “hypercapitalism” and “network and informational capitalism” to describe the new outlets of capital accumulation made possible by the global telecommunications infrastructure. Mumford wrote that “we are now entering a phase of dissociation between capitalism and technics” (p. 366), due in part to the over-working of “the machine”. Hypercapitalism has seen new forms of over-exploitation, and the continued commodification of intangibles such as information and attention, calling into question the dissociation of capitalism and technics. Mumford’s warning of the capitalist threat to physical resources, however, remains pertinent today. The attention Mumford gives to the psychological effects of technics is a fascinating component of his analysis that prefigures McLuhan’s observations on technology as extensions of the human organism. The introduction of introspection and self-reflection instigated by the mirror’s effect on the individual ego; the metamorphosis of thought from flowing and organic to verbal and categorical brought on by print and paper; the shift from self-examination to self-exposure ushered in by the introduction of cameras; these are just some of the examples cited by Mumford to establish that the technological complexes built up from every individual innovation are not constrained to the obvious external manifestations but involve dramatic internal changes as well. In fact, the psychological and material transformations are not distinct processes, but are necessarily interlinked, two sides of the same coin. I argued that History (in the grand philosophical sense) was turning out very differently from what thinkers on the left had imagined. The process of economic and political modernization was leading not to communism, as the Marxists had asserted and the Soviet Union had avowed, but to some form of liberal democracy and a market economy. History, I wrote, appeared to culminate in liberty: elected governments, individual rights, an economic system in which capital and labor circulated with relatively modest state oversight. So has my end-of-history hypothesis been proven wrong, or if not wrong, in need of serious revision? I believe that the underlying idea remains essentially correct, but I also now understand many things about the nature of political development that I saw less clearly during the heady days of 1989. 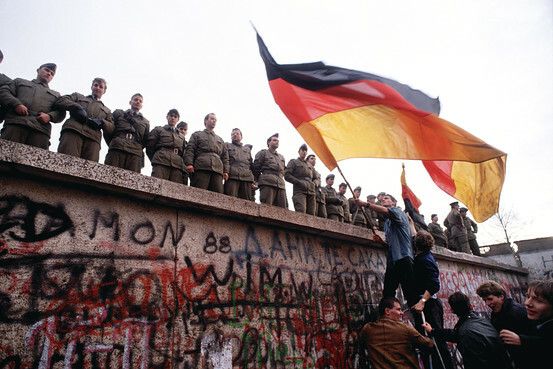 Twenty-five years later, the most serious threat to the end-of-history hypothesis isn’t that there is a higher, better model out there that will someday supersede liberal democracy; neither Islamist theocracy nor Chinese capitalism cuts it. Once societies get on the up escalator of industrialization, their social structure begins to change in ways that increase demands for political participation. If political elites accommodate these demands, we arrive at some version of democracy. When he wrote “The End of History?”, Fukuyama was a neocon. He was taught by Leo Strauss’s protege Allan Bloom, author of The Closing of the American Mind; he was a researcher for the Rand Corporation, the thinktank for the American military-industrial complex; and he followed his mentor Paul Wolfowitz into the Reagan administration. He showed his true political colours when he wrote that “the class issue has actually been successfully resolved in the west … the egalitarianism of modern America represents the essential achievement of the classless society envisioned by Marx.” This was a highly tendentious claim even in 1989. Fukuyama distinguished his own position from that of the sociologist Daniel Bell, who published a collection of essays in 1960 titled The End of Ideology. Bell had found himself, at the end of the 1950s, at a “disconcerting caesura”. Political society had rejected “the old apocalyptic and chiliastic visions”, he wrote, and “in the west, among the intellectuals, the old passions are spent.” Bell also had ties to neocons but denied an affiliation to any ideology. Fukuyama claimed not that ideology per se was finished, but that the best possible ideology had evolved. Yet the “end of history” and the “end of ideology” arguments have the same effect: they conceal and naturalise the dominance of the right, and erase the rationale for debate. In an article that went viral in 1989, Francis Fukuyama advanced the notion that with the death of communism history had come to an end in the sense that liberalism — democracy and market capitalism — had triumphed as an ideology. Fukuyama will be joined by other scholars to examine this proposition in the light of experience during the subsequent quarter century. Featuring Francis Fukuyama, author of “The End of History?”; Michael Mandelbaum, School of Advanced International Studies, Johns Hopkins University; Marian Tupy, Cato Institute; Adam Garfinkle, editor, American Interest; Paul Pillar, Nonresident Senior Fellow, Foreign Policy, Center for 21st Century Security and Intelligence, Brookings Institution; and John Mueller, Ohio State University and Cato Institute.